In a submission to the Australian Government on the issue of online piracy, the BBC Worldwide indicates that ISPs should be obliged to monitor their customers' activities. Service providers should become suspicious that customers could be pirating if they use VPN-style services and consume a lot of bandwidth, the BBC says. After cutting its teeth as a domestic broadcaster, the BBC is spreading its products all around the globe. Shows like Top Gear have done extremely well overseas and the trend of exploiting other shows in multiple territories is set to continue. As a result the BBC is now getting involved in the copyright debates of other countries, notably Australia, where it operates four subscription channels. Following submissions from Hollywood interests and local ISPs, BBC Worldwide has now presented its own to the Federal Government. Its text shows that the corporation wants new anti-piracy measures to go further than ever before. 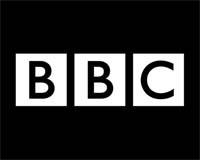 The BBC begins by indicating a preference for a co-operative scheme, one in which content owners and ISPs share responsibility to “reduce and eliminate” online copyright infringement. Educating consumers on both the impact of piracy and where content can be obtained legally online would be supported by improved availability of official offerings. After providing general piracy statistics, the BBC turn to the recent leaking of the new series of Doctor Who to file-sharing networks which acted “as a spoiler” to the official global TV premiere. “Despite the BBC dedicating considerable resources to taking down and blocking access to these Doctor Who materials, there were almost 13,000 download attempts of these materials from Australian IP addresses in the period between their unauthorized access and the expiration of the usual catch-up windows,” the BBC write. In common with all rightsholder submissions so far, the BBC wants to put pressure on ISPs to deal with their errant subscribers via a graduated response scheme of educational messages backed up by punitive measures for the most persistent of infringers. “ISPs should warn any alleged copyright infringers through a graduated notification system that what they are doing is illegal and, at the same time, educate them about the law, the importance of copyright to funding content and services they enjoy and where they can access the material they want legally. However. if the consumers do not abide by the notifications then more serious action may need to be taken,” the BBC note. While little in the foregoing presents much of a surprise, the BBC goes further than any other rightsholder submission thus far in suggesting that ISPs should not only forward notices, but also spy on their customers’ Internet usage habits. “Since the evolution of peer-to-peer software protocols to incorporate decentralized architectures, which has allowed users to download content from numerous host computers, the detection and prosecution of copyright violations has become a complex task. This situation is further amplified by the adoption of virtual private networks (VPNs) and proxy servers by some users, allowing them to circumvent geo-blocking technologies and further evade detection,” the BBC explain. While the BBC goes on to state that “false positives” would need to be avoided in order to “safeguard the fundamental rights of consumers”, none of this will sit well with Internet service providers or the public. Throwing around accusations of illegal activity based on the existence of an encrypted tunnel and high bandwidth consumption is several steps beyond anything suggested before. The BBC says it supports the blocking of overseas infringing sites at the ISP level after obtaining a court injunction. Of interest is a proposal to use a system which allows for injunctions to be modified after being issued in order to deal with sites finding ways to circumvent bans. “It is important to have the ability to get existing injunctions varied by the court when defendants reappear in different guises, a useful tool in the United Kingdom,” the BBC writes. Who pays for all of the above has been the major sticking point in all Australian negotiations thus far. The ISPs largely believe they shouldn’t have to pay for anything, but most rightsholders – the BBC included – think that the costs need to be shared. “In light of the fact that a large inducement for internet users to become customers of ISPs is to gain access to content (whether legally or illegally), it is paramount that ISPs are required to take an active role in preventing and fighting online copyright infringement by establishing and contributing meaningfully to the cost of administering some form of graduated response scheme,” the BBC concludes.